There is no simple answer to the question above since there are so many puzzling pieces which must fit together in the loan approval process. In fact, the amount that lenders will approve for a loan largely varies with each individual applicant. For instance, people with the same income and credit score who submit applications for general loans may be offered totally different loan amounts and terms. Some reasons for this include location, type of lender, and purpose of the loan. But whatever the outcome, it’s always business and never personal. Lending institutions make loan decisions which result in profitable transactions for their business. How much a person can qualify for is determined by several unique factors. These factors have to be harmonious and are exclusive to the individual. It’s sort of like a concert with an audience of one, as was demonstrated in the year 2014. That Fall, U.S. rock legend Bob Dylan performed a one-man concert. The musician most certainly put together music just for the gentlemen that would please the lucky attendee, who was quoted as saying his jaw hurt for hours afterward because he could not stop smiling. Can the borrower afford to repay the loan? One of the means by which lenders decide how much a borrower qualifies for is their income. And this doesn’t just mean the amount. For instance, two people applied for general loans with the same amount of income. One got a loan for $2,000; the other for $15,000. The difference? Borrower #2 held a full time permanent job for the past 20 years. The first borrower started his job a year ago and works on a temporary basis. The income factor includes length, amount, and job expectancy among other things. Using the same two borrowers as an example, the difference in how much a borrower can qualify for depends, to a large degree, on their credit score. As it turns out, borrower 2 has a credit score of 730, while borrower 1 showed 697 on his credit report. This affected not only how much they qualified for, but also the amount of interest they were charged. The type of loan is another important factor on how much a borrower receives. Personal loans, mortgages, auto loans, bill consolidation, and student loans all come with separate criteria for approval. For example, secured loans leave the lender an option to take back collateral if the loan is not paid. Student loans are for specific amounts and, in some locations, they are even guaranteed repayment by the government. The lender or creditor is also a determining factor as to how much a borrower can qualify for. Large institutions like banks or credit unions employ a certain set of standards for loan approval. In most cases, they require better credit, assets, etc., and can approve for higher amounts with lower interest. Bad credit loans from smaller lenders may be more lenient, while at the same time have higher interest rates and fees. How much debt the borrower is in already plays a part in how much he qualifies for. Lenders calculate a formula, known as the debt-to-income ratio, that shows what the percentage of debt is to income. The majority of creditors will deny or lower the amount approved if the ratio is over 43 percent. For more factors on how to qualify for Canada loans, visit Smarter Loans – Canada’s Loan Directory. The more loans a person qualifies for, the better the credit score. False. Having more debt is not a sign of good credit. While loan approval with a low interest rate initially indicates good credit, too much credit on a report shows lenders that the consumer has too much debt and also will eventually lower the credit score. 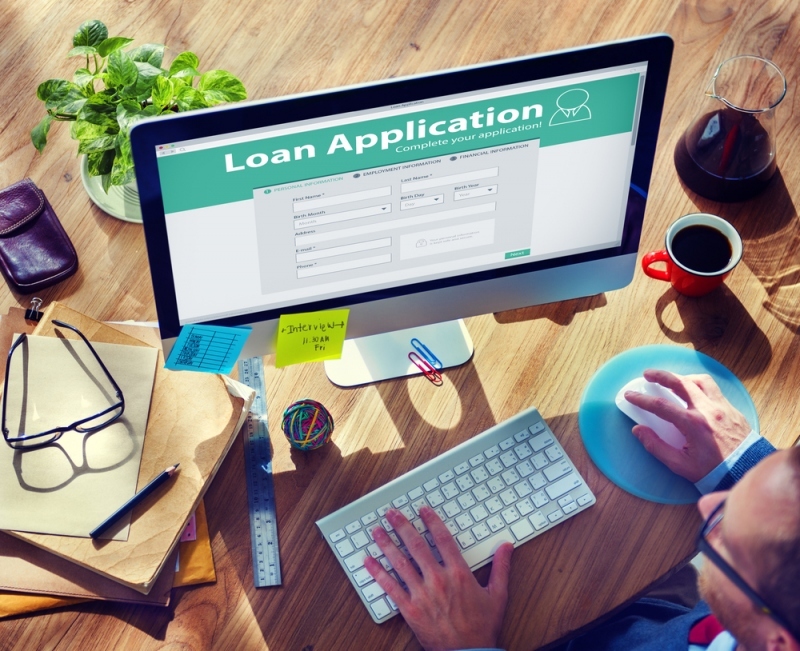 A recent bankruptcy can be favorable to a borrower’s loan application. True. Often, lenders will see a discharged bankruptcy as a “clean slate”, so to speak. The borrower may qualify for what they asked for because the creditor will look at the bankruptcy as less debt the borrower has to pay, reducing the chance of default. Lenders cannot use social media to decide how much loan a borrower can qualify for. False. Currently, it is not illegal for a lender to look at Facebook, LinkedIn, Twitter, and other media accounts of an applicant. The information can be used to verify identity, look for hints the borrower is financially irresponsible, or other reasons. Not all lenders use this tactic, but some creditors and potential employers do so. It is important for borrowers not to allow their eyes to become bigger than their wallet. Debt can become a financial trap from which it can take years to break free. Although they currently seem to be able to afford a loan, situations may change in the future or emergencies may arise. A good rule to follow when approved is to avoid borrowing the maximum amount offered. Taking responsibility for the full amount can put a strain on finances over time (this is often the case with home buyers borrowing the entire amount for which they are approved). Consistently using one credit line or credit card to pay another (the “robbing Peter to pay Paul” syndrome). Regular late payments, which is costly and can ruin credit. One sign of this problem is when “friendly reminders” turn into passive aggressive threats via phone or email. After monthly creditor payments, there is little to no money left over. The very thought of checking the mail causes stress which is triggered by knowing the number of overdue bills far outweighs other mail. Sadly, some people develop health problems from the stress of worrying how to pay their bills. For borrowers asking themselves, How much can I qualify for? the closest step to the answer is found in advance preparation. Here are five things borrowers can do to get started in the right direction. Shop around for lenders with rates and terms they can live with. Ask a lender ahead of time what they are looking for. This helps to avoid applying for loans with a low chance for approval, which means less inquiries on the credit report. Take advantage of financial resources like free credit counseling and online loan calculators. Although they are not guarantees, they give the borrower some idea of how much they may be approved for. Doing a credit report check-up to find and fix errors as well as get a current credit score. Borrowers can calculate their own debt-to-income ratio in advance of applying by dividing their total monthly debt by their monthly income and multiplying that number by 100. It is important for borrowers to be honest about how much they spend each month on discretionary items they may enjoy like travel, entertainment, and so forth. They can decide, if anything, what they will be willing to do without in exchange for taking on more debt. This is another piece of the puzzle that is different for every borrower. Whatever amount a borrower can qualify for, accepting that debt is a long-term commitment that has a direct impact on their lifestyle is key. As such, the bottom line is to proceed with knowledge, preparation, and caution. If you are looking for any kind of loan or financing in Canada, visit Smarter Loans – Canada’s Loan Directory. At Smarter Loans you can compare lenders, interest rates, read reviews and start any kind of loan application online.